Sarah is an experienced journalist with an extensive portfolio in news and features, as well as editorial and communications experience. She writes for the Irish Independent, the international Catholic weekly The Tablet, Catholic News Service in Washington, the Catholic Times, the National Catholic Reporter and a number of other publications such as the Messenger of St Anthony (international edition). Her interests lie in religious and social affairs as well as history and archaeology. She has an MA in International Relations as well as an MA in Classical Archaeology. Sarah’s editorial/writing credits include: ‘The Francis Factor: A New Departure’, Eds. John Littleton and Eamon Maher, Columba (2014); ‘God’s Entrepreneurs: How Irish missionaries tried to change the world’ by Joe Humphries, New Island Books (2011); ‘Hymns and Hymn-Writers’ in the Field Day Anthology of Irish Writing, Volumes IV/V, (Autumn 2002); ‘Painting the Heartscape’ (2001) – A celebration of the spirituality of Mary Ward; and ‘Are We Losing the Young Church?’ by Gerard Gallagher, Columba Press (2005). Sarah’s radio credits include: ‘The All Ireland Behind Barbed Wire’, (Documentary for RTÉ Radio 1 on those interned in Frongoch following the 1916 Rising – broadcast as part of RTÉ’s 1916-2016 commemorations); ‘All Things Bright and Beautiful’ (Documentary for RTÉ FM3); Hildegard (Documentary for RTÉ Radio 1); Web of Life (9-part series on ecology and spirituality for RTÉ Radio 1); and freelance inserts to Crosscurrents, Monday 702 and Sunday Miscellany. Susan is a journalist specialising in social, family and religious affairs. 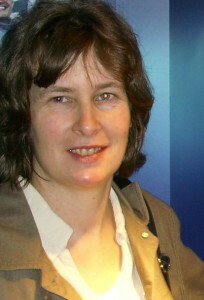 A former lawyer, she spent five years as editor of the online news service of catholicireland.net. She writes for the Irish Independent, Irish Catholic, the Universe,Reality and Living City, and does multi-media reports for Catholic News Service in Washington. 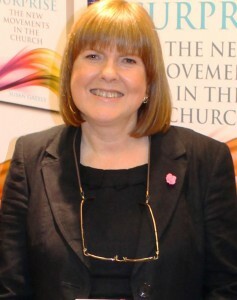 She is author of God’s Surprise – The New Movements in the Church (Veritas 2012) and a long time member of Focolare. 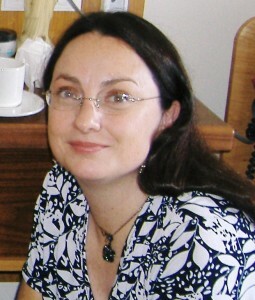 Susan is married to Aidan with two children, and lives in Kildare, Ireland. Ann Marie is a freelance writer living and working in Co Laois, covering a variety of topics including religion, food, farming and country life, transport, and business. She has been writing for CatholicIreland.net for a number of years as well as the Irish Catholic, The Universe, Justice, Living City and other Catholic and religious publications. She also works for Irish, UK and European business to business magazines and their associated websites and has been awarded prizes in the Transport Writer of the Year Awards run by the Chartered Institute of Transport in Ireland. She has been published in consumer publications including Woman’s Way, Food and Wine, Farmer’s Journal, Irish Catholic, Inside Interiors, Mrs Beeton, Camping Magazine, and the Examiner. Ann Marie writes creatively, producing poetry, prose and non-fiction and has had work published in anthologies including Cyphers 73; Acorn 5; From Mairgy to the Sieve Blooms; Gold; Laois Echoes with Fionn MacCumhaill; and Leaves Laois Anthology of Literature 2011.